In its continuing efforts to promote sleep and breathing research, as well as physician and community awareness, ResMed Corporation established the ResMed Foundation on June 14, 2002. Sleep-disordered breathing (SDB), of which obstructive sleep apnea (OSA) is the major manifestation, is a surprisingly common disorder which, over nearly two decades ago, was highlighted in an editorial in the New England Journal of Medicine (ISSN 0028-4793, Vol. 328: 1271-1273, April 29, 1993) as a major public health problem on a level equivalent to that of tobacco smoking. Untreated SDB can have an adverse impact on such life-threatening diseases as cardiovascular disease, in particular hypertension, coronary artery disease, heart failure and atrial fibrillation, metabolic syndrome and diabetes. Untreated SDB can also have significant impact on occupational health and safety, including traffic and workplace accidents. The Foundation promotes research for publication in appropriate peer reviewed scientific and medical publications. In addition to its commitment to furthering knowledge about sleep and breathing, the ResMed Foundation contributes a percentage of its annual funding allocation to promote community causes in the areas of education for secondary students (specifically math, science and technology) as well as the arts in the San Diego area. ResMed Corporation has also established a separate Foundation based in Sydney, Australia, which funds similar projects primarily in Australia. The ResMed Foundation board is governed by leaders in the medical, business and arts community. Board of Trustees' Biographies. ResMed is a leading manufacturer of medical equipment for the diagnosis, treatment and management of sleep-disordered breathing and respiratory insufficiency, selling a comprehensive range of products worldwide. 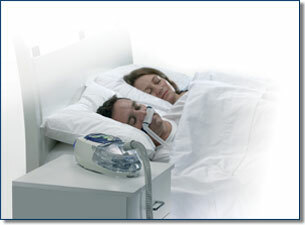 For more information about the ResMed Corporation, please visit their web site at www.resmed.com.